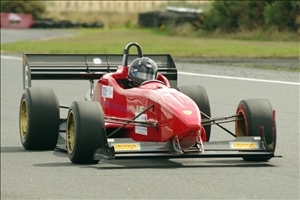 The Sunday event on Anglesey's International circuit marked an end of an era as it was to be Paul Parker's last event as British Sprint Championship co-ordinator - a post he has held since 1999 and there was a feeling of sadness around the paddock as a result. But what a contrast Sunday represented to the previous day, with the wind blowing a gale, and creating a significant headwind for everyone along the back straight of the International circuit, to the detriment of the times. The wind also caused damage to the MOLE Racing car transporter/hotel room/spares emporium! Before the event Grahame Harden felt that the clutch would be unable to cope with his new turbocharged engine, suggesting if he made it io the first corner on his first practice run on Saturday that would be an achievement. Despite suggestions that the engine was dropping into "get you home" mode on Saturday here we were on Sunday, the car was getting quicker and quicker and easily enough to make the Top 12 Run Off. Poor Mark Anson managed, on both his Sunday timed runs, to appear as if he had stopped for a sandwich - spinning at the final hairpin on T1. This was tragic really as the times in either of his two practice runs would have both qualified him for the Top 12 Run Off and earned him enough points to double his season score, a sad way to conclude his season. Records were thin on the ground. Pete Goulding capturing the 1600 forced induction Racing Cars one, meaning the pair of Mygales finished with one each over the weekend! 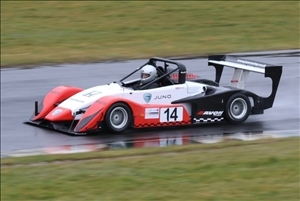 Chris Jones was again more than one and a half seconds under the the Class record in the times runs but, fellow Pirelli runners Broughton and Hillam were hampered by disappearing brakes. It appeared that Chris Jones has an arrangement by which the wind changes direction when he takes a run. That's the only conclusion I am able to reach as he took fifth place in the Run Off, his weekend performances sufficient to secure a permanent number for 2019. Grahame Harden and Chris Bennett both qualified within half a second of each other and only a tenth apart after their first run. Surprisngly both drivers found more than three seconds on their second runs with Grahame feeling more confident about his gearbox standing up to the strain (and excited about prospects for 2019 if he continues) and Chris enjoying a run on warm tyres for the first time over the week-end. There some smiling faces among the 2 litre runners Broughton, Hillam and Algar having satisfied themselves that Pirelli rubber is what is required for them in 2019, this despite the SBD pair limiting themselves to a singular Top 12 Run Off each after encountering further problems although Steve Broughton's triple pumping technique allowed a good flow of speed into the corners. Terry Holmes' performance was majestic as both his top 12 Run Off times put him top of the tree but John Graham's runner up performance was enough to take the final podium place in the Championship ahead of Terry. 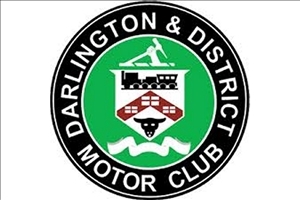 Mention should be made of the slick running of the event by Longton & District MC. Despite a few delays (wind blowing the timing equipment around!) the Top 12 Run Offs had been completed by 3:00 pm leaving plenty of time for further runs for those that wanted them. 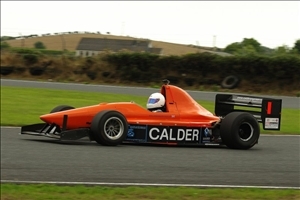 With the non appearance of the Calders (Colin and Heather) at Trac Mon, Anglesey for the final two rounds of the 2018 SBD MSA British Sprint Championship Heather Calder was confirmed as the repeat Champion following her success in 2017. We had been threatened with varying degrees of rain in the week leading up to this event. As it turned out none materialised but a variety of levels of wind were certainly present. Saturday was largely sunny and quite warm for October. The weekend was also without the other Scot, Stewart Robb, who had entered but failed to appear. What was going to be interesting was what performance might materialise from the new Pirelli speed event tyres which were making their first public appearance on the Broughton/Hilam, Jones/Bennett and Algar cars. During the season the usual Avon A15s had been in general use, supplemented by Michelins and some development Avons, although their performance left little to write home about. So now, as the season drew to its close, was Sprinting's tyre choice for the future about to be debated? Graham Harden was making an outing but this time powered by a 749cc turbocharged Kawasaki, which has been under construction for quite a while (and when fitted to a motorcycle managed to produce a 217mph speed at Elvington! ).Compared to some turbo installations this one looked exteremely neat and tidy - a credit to the builder. Also in the 1100class it was good to see the return of Mark Anson as he approaches retirement from the police force. Carole Torkington was sadly unaccompanied by her usual cockpit partner, news about Bill Gouldthorpe was far from promising sadly. The Saturday event was run on the short, single lap National course with some serious performances being displayed. Records were being broken widely as bonus points were being captured to supplement scores as the season drew to a close. There was no existing record for the forced induction 1600 Racing Car class, so a battle was on to see who would leave with that one. Graham Blackwell managed to capture that on his first Top 12 Run Off run. 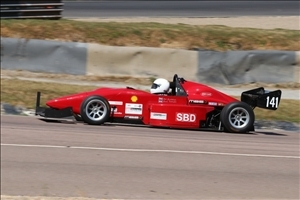 Sadly on his second attempt the car decided to turn left shortly after launch as the software controlled the change into second gear, which managed to destroy both wishbones, steering arm and pushrod on the left hand side and front wing, which concluded his weekend. Steve Brown concluded his engine's life after Saturday. He had already decided to upgrade the engine over the winter but a missed shift on Saturday lead to advice from his engine builder to leave well alone and withdraw from Sunday. Chris Jones was producing some startling runs in the Top 12 Run Off, taking well over a second and a half from the existing record on both runs with the Pirellis. It was pretty clear who had the misfortune of wearing Michelin rubber. Steve Miles times were slower than Chris Jones' despite an engine twice the size but had been experimenting with intentionally carrying corner entry speed and spun 3 times - all without causing a red flag as he got going quickly. Well ahead and battling over the midfield final Championship placings were the two litre runners Steve Broughton, Matt Hillam and Nick Algar all of whom were battling manfully and all well under the existing 2 litre record on both of their runs confiming the performance available from the Pirellis. With the look on Nick Algar's face as he left Blyton Park, there couldn't be more of a contrast to his performance on Saturday when he murdered the outright record on both his runs (and that despite having every reason to feel a poorly bunny with his one hand taped up after an injury). The Bennett/Jones Force TA partnership continued their run limitations partaking ofjust one practice and one timed run each. Steve Brown was the only member of our runners to indulge in a third timed run. However he was juggling the needs of his British Sprint participation with participation in another championship and its very different scoring system. Nick Algar performed one of those occasional feats and qualified fastest overall which I suspect surprised the whole field? It certainly surprised the driver! The SBD partnership were hanging on grimly with stellar performances. Steve Miles was bottom of the 2 litre pile some way distant. Stewart Robb qualified top of the unlimited fraternity but then surprisingly withdrew before he was able to participate in theTop 12 Run Off. 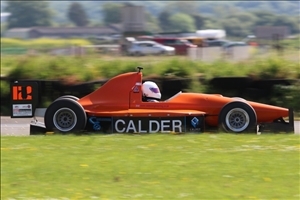 Both Calders were very clearly after record bonus points to enhance their respective scores but suffered a split fuel tank in the morning which needed repair and the car put back together before the Run Off . There then came a whole bunch, all qualifying in the 59 second bracket, including Terry Holmes who together with Graham Porrett had a gearbox to rebuild after a tooth made a bid for freedom. Just to demonstrate how our sport can produce contrasts from one day to the next Graham Blackwell, having achieved an FTD the day before, on his opening launch managed to break a driveshaft off the line, shearing all of the bolts so no finish and no points. Steve Brown admitted to the Top 12 upon Stewart Robb's withdrawal, secured his 3rd capture of points this season for 11th but only managed a single run after getting stuck in sixth. John Graham concluded his dire weekend with a 10th place finish well below his capabilities, perhaps wondering how he might use the Gould on the farm? Pete Goulding only managed to complete one run and despite completing two runs Steve Miles won't have been pleased with his weekend. 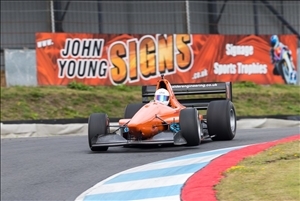 Chris Jones at least managed to complete his weekend on a positive note with a new 1100 Racing Car record for the Outer Circuit, with his midfield finish - not bad having only taken one practice and one timed run. Only a few tenths better was Steve Broughton but his ever improving times over the day this had to have been considered a positive. Terry Holmes and I indulged in a meaningful discussion on the interpretation of "finish line" in S.9.5.3 (a) as he spun removing one element of the timing equipment. Nevertheless his points for the day placed him in 3rd place in the British Sprint Championship. Nick Algar was unable quite to match his qualifying time in achieving 4th spot but Matt Hillam put in a stormer to break the 2 litre record by a second and a half! Then the family feud......Colin Calder on his second run managed to get within 2 hundredths of the existing outright record, a fact Heather just wished to confirm before her run, then she went out and took half a second off the outright record....and the bonus point she was after! 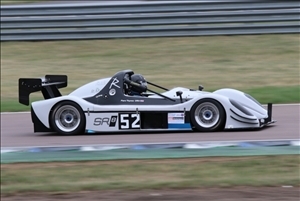 The Nottingham Sports Car Club organised Blyton Sprint week-end produced two very disparate results. The Saturday event was notable for something which for some reason we suffer fairly little in the British Sprint Championship...rain. Added to this was that the Eastern Circuit was in use which contain two very tight corners which seemed to affect some cars far more than others. The conditions were such that spins were taking place quite widely. During the day Stewart Robb discovering the advantages of Sprint courses, spinning off both sides of the main "straight" after accidentally switching traction control off, fortunately without touching anything. Perhaps a contrast to what might have taken place if his tentative plans to enter the forthcoming Doune hillclimb close to home come close to reality. 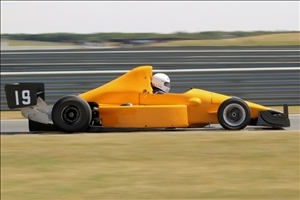 In fact it was something of a "Pilbeam" day, visits being made by constructor Mike Pilbeam and also fellow large engined Pilbeam Sprint car owner Mike Musson, Blyton Park being possibly the closest venue to home for both. Work on the latter's car is progressing well and we look forward to seeing the Pilbean back on the tracks in 2019. John Graham finished bottom of the pile during the course of a weekend he would probably wish to forget, so many issues that he was encountering. Stewart Robb managed to find the other side of the "straight" on his first run and so was understandably cautious on his second run. Chris Jones managed two runs and demonstrated what can often happen in adverse weather conditions in our sport overcoming 2 unlimited capacity cars and comfortably so. He was still a little disappointed though, having qualified fourth on Inters but found these less suitable for the much wetter Run Off when full wets were the order of the day. 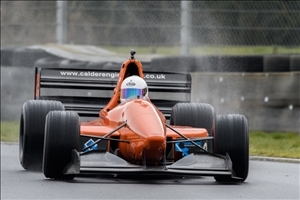 Next was Nick Algar who had to rely upon only his opening Run Off run, pursued by Steve Miles the wet weather enabling him once again to trial tyres from another manufacturer. Tyres from Avon, Michelin and Hankook seeing the light of day in the British Sprint paddock this year and I gather there is yet another manufacturer's products still to officially appear. Then came a very closely matched group all on the 81 second category. Matt Hillam (less at home with the tight technical nature of the first half of the Eastern track), Pete Goulding, Heather Calder and Graham Blackwell all more closely matched than normal dry conditions would warrant. There then came the top 3, starting with Steve Broughton having perhaps his strongest weekend for some time, the development of the SBD car, particularly the electronics, showing dividends. At the top were among the two most experienced runners Colin Calder becoming beaten by Terry Holmes, on his first win of the season. One ofthe more tragic losses? In the week leading up to this event news emerged that the Rockingham venue had been sold, having been up for sale for some time. However, it was hoped that one of the circuit operators might have found a home for it. Sadly that appears not to be the case. So we won't get to return. Pretty well throughout the paddock, through the range of cars that a Sprint event represents, there was joy at the venue and sadness at its loss. There have been other Sprints at the facility but only one using the format we enjoyed in this event - the inner National circuit. Since that was with the VSCC it was unlikely any competitor in the event would have had the advantage of an earlier view. A further sadness was the loss of the Chris Jones/Bennett Force TA during the timed runs. Chris Jones was on a flyer (a likely top three time) on his first run when the drive chain broke going into the final corner and he had to coast to the finish. But his 55s run was still good enought to easily win the 1100cc class and qualify for the Run Off which unfortunately wasn't to be as there was too much damage to repair. For such a short lap, the second shortest of the 2018 season, qualifying times generally were quite closely matched. Conscious of the "bonus points" system, and how it is calculated at a venue such as this where no previous records exist, many were not pressing to the maximum during qualifying. One newcomer to the British Sprint Championship ranks was Piers Thynne. he sadly managed to spin on his first qualifier but produced a time on his second run to ensure he made the Top 12 Run Off. Colin Calder was unaccompanied in the cockpit at this event, Heather's absence explained by her attendance at a wedding. Nick Algar's aid came in the form of a friend with FOM associations. John Graham's gearbox had been repaired. 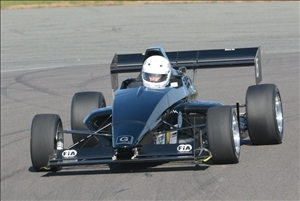 Steve Brown was accompanied by his car's manufacturer JKS Cars' John Kirby. With the loss of the two Chris' everyone qualified for the Top 12 Run Off. 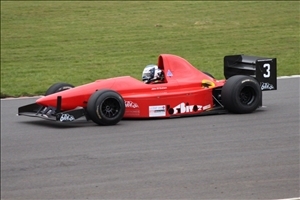 Piers Thynne's alternator broke on his first timed run, so his time was disappointing and he was unable to undertake a second run. He realised some attention is required to his rear anti roll bar before his next outing the existing one being at the basis for the spins he undertook. But he left the venue with his first British Sprint Championship points. Steve Brown steadily improved his times as the day progressed and made his second points collection of his career. Graham Porrett's Run Off performance was rather disappointing, both times being rather less than his second qualifier. Steve Miles was troubled by a rear right wheel coming loose, despite his check list system it was torqued up, but on a misaligned spacer that then came loose. This gouged the inside of a rear rim and the tyre deflated. Discovered at 120mph after braking for the chicane!. This of course left him under pressure to produce a time on second run in order to gain any points. This he did albeit in the form of a "banker" and somewhat less than of which he was capable. John Graham's performance seemed curious, his opening Run Off run being rather less than both his qualifiers and even his second run although a notable improvement seemed to this observer to be disappointing. Interestingly the performances of both Steve Broughton and Nick Algar were comparable, hundredths apart on their openers and only a few tenths separated them on their second runs. Splitting them however was Pete Goulding, only a hundredth adrift of Algar, before he and wife Diane flew off on their holidays. Terry Holmes steadily improved throughout the day through both qualifiers and Run Off runs. What he was unable to do was match Graham Blackwell's best time which must be considered the performance of his season so far overcoming Holmes by a tenth, a remarkable performance indeed. Matt Hillam's too was an outstanding performance, being only a second shy of the outright winner, and considering who that was he had every reason to be pleased. Finally and unexpectantly Colin Calder decided, even if it was only a one day event, the opportunity of potential bonus points was too good to turn down. So he undertook the 12 hour trip and gained the bonus point in addition to his 12 winner's points, he was pleased at least and moved to within a point of Championship leader Heather Calder. For the seond day of the Sprint week-end at Kirkistown competitor problems continued. Terry Holmes & Graham Porrett encountered a transmission issue (gear stripped and its dog lost all its teeth) so the repair meant they relied upon just the single run to qualify. Simon Bainbridge's car developed an oil leak, which halted his day in the car but happily accepted an offer from Michael Sullivan (Louise Calder's partner) to share the BMW 330D! Not of course the first time he has driven a road car at a Northern Ireland BSC event to secure points. Simon Bainbridge conducted just a single qualifier and a single run Off run, and operated on the assumption that he would finish 8th but........Steve Miles on his opening run stopped at Fishermans. On his second run he managed about 100 yards before stopping again but did restart and finished this time, to enable himself to secure himself points, albeit in a time where pride would not have entered the summary. Steve was suffering from sensor failures with the throttle position one being the most serious. 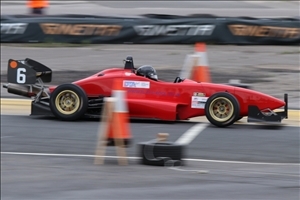 Graham Porrett concluded a trying weekend with a solid time and good points with some fast driving. Nick Algar left Northern Ireland pleased with the points he was able to capture. Everyone was puzzled why, despite some areas having been resurfaced, times were not better. Terry Holmes too managed a good solid finish to the NI foray to pickup 4th spot. The Calders finished one two with Colin taking his second victory of the week-end and leaving Heather puzzled as to where she was losing time - although she retained her Championship lead. Stewart Robb was on his 2nd run and seeking an improvement when he encountered an unusual discovery on the course - dogs on track at Colonial - from a neighbouring house, but he turned down the offer of a rerun. Pretty well everyone had one problem or another this weekend with many people restricting their runs due to overheating brake fluid. Very fortunately the organising club has now settled upon the use of the long course throughout the weekend for the whole of our visit. Staying dry all weekend, Saturday at least had one of Kirkistown's largest Sprint entries, which was pleasing as British Sprint Championship numbers were at their customary disappointing level. Throughout qualification all seemed to go smoothly, apart from reigning Champion, Heather Calder's second timed run. She was faced with a mass of dash lights she didn't immediately recognise which rather confused the down change process as she finished with a box of neutrals. On closer inspection it proved to be nothing of consequence. Most unfortunately John Graham's gearbox jammed solid and despite frantic telephone calls to his engineering support a solution could not be found. It meant he was able to catch the Sunday, rather than the Monday, morning ferry. The usual local candidates presented worthy opposition. 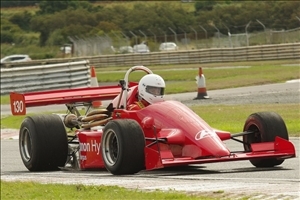 Robert Morgan and son John, now armed with a 2.7 Millington in the rear of their Pilbeam MP82, finished 8th & 4th respectively in the course of the qualification runs. 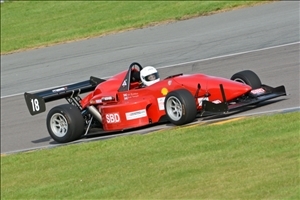 6th overall was the car which secured the "noisiest car of the weekend" award comfortably. 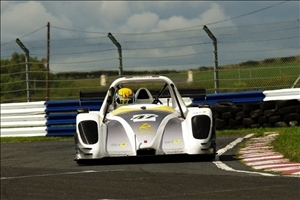 Gerard O'Connell's 2.7 Radical SR8 was unsilenced but was seriously quick (breaking the Sports Libre record). Simon Bainbridge seemed to be running well off the pace. It was only after Saturday's event was it discovered he was running only 0.8 bar boost when a pipe was twisted. Nick Algar having rebuilt his car's rear end with the assistance of John Loudon, enjoying a few days holiday, on Friday evening, was taking it gently during qualification. However, he jumped from the bottom of the pile after qualification to conclude in 4th spot (with lots of lovely points!). 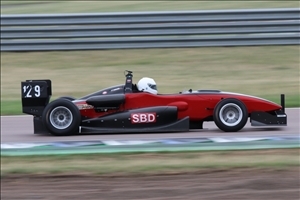 Next to run was Simon Bainbridge and, whilst not far away on time, still finished the day with good points in 7th. Graham Porrett's run included a tour along the scenic route at Colonial, only later discovering that an element of his front wing had become displaced such that it was closer to flat than upright, which left him 5th. Steve Miles would have produced better times had he realised rather earlier (the spins were a clue!) that his front anti roll bar rose joint was broken. This was repaired with help from the Calders and the car ran well after that. Steve finished 6th and was pleased with his new aero tweaks which went largely unspotted. Stewart Robb looked to be on a mission on the wide open spaces of Kirkistown (e.g 170 mph through Debtors!) but slightly overdid it exiting Fishermans and bent his nearside push rod. As is customary practice in Northern Ireland he was accompanied to an adjacent engineering facility where it was welded up with a sleeve and painted all ready for the Sunday. Terry Holmes suffered from the same front wing issue as his co-driver so it was only his first run which counted albeit enough for 3rd spot. The Calder family finished 1-2 about a second apart, but conscious they needed points from both days called it a day after first runs. And so on to Sunday and the clockwise format, this time accompanied by not only the usual Super Lap Scotland (which included a Subaru with bhp that included lots of noughts and a rear wing the size of most people's dream dining table) and Scottish Legends racing but also the Chase race which the Scots have introduced. Simon Bainbridge had put his Saturday drive train problems behind him to qualify fifth and Stewart Robb had also improved on his previous day's performance by qualifying at the top of the lists. Steve Miles managed to frighten 2 litre compatriot Nick Algar to death by spinning in front of him - the first of the season or so he claimed but a thoroughly antisocial activity in any case. Unfortunately Nick Algar's (newly rebuilt) transmission lunched itself precluding participation in the Run Off. The Holmes/Porrett Lola only managed a single qualifying run after a spin (Holmes) and gearbox problems necessitating a quick rebuild before the Run Off. The Calder Gould also needed work on its radiators. Pete Goulding was some way adrift of Graham Blackwell's mark, both Goulding & Porrett only 100ths apart. At last Simon Bainbridge managed to get on the pace on Sunday and 94s were flowing in. Graham Blackwell continued to murder his 2017 times to conclude a thoroughly satisfactory weekend. Terry Holmes too concluded his weekend by all but matching times with John Graham. 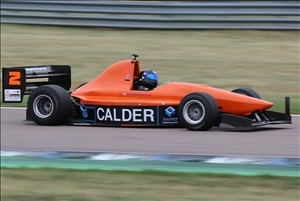 For some reason Stewart Robb was unable to match his qualifying time but still did enough to split the Calders. Both Colin and John Graham required assistance to return to the assembly area both unable to complete the first of their two runs - a story was going around that Coplin had come across a seagull on his run! Was Colin perhaps overdriving his second Run Off with his time not matching even either of his qualifiers? This after having been told about the new course record which he felt was a time that was accessible. Heather showed that it was just that by posting two times, less than a tenth apart, each of them under the old record by roughly a second and a quarter (and of course benefiting from two record breaking bonus points) to complete a thouroughly dominat Champion's week-end. PP & SM Images courtesy of John Stewart of Flat out Motorsport Photography. During what has been the warmest period in the UK for many a long year, it was almost enjoyable for the SBD British Sprint Championship to venture north for the weekend to experience some cooler conditions. It stayed dry throughout but we did not have to suffer the intense heat and sun. On home territory for the Scottish members of our community, Stewart Robb jnr made an appearance helping his dad over the weekend, and their proximity to home was indicated by Stewart jnr riding his pushbike to and from the circuit. The Calder family too did not have to undergo their usual extraordinary mileage. We were joined this year by one or two "virgins" to the venue. Pete Goulding having to undergo a round trip from the South East and Steve Brown the somewhat less lengthy trip from the East Midlands. 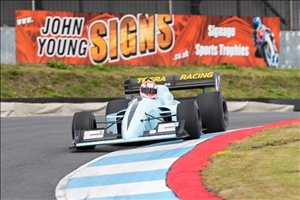 It was a busy event and even busier paddock with to the very popular (43 competitors) Super Lap Scotland brigade and the appearance of the Scottish Legends Championship. This meant the British Sprint performed in front of a crowd of thousands for once. Stewart Robb at one point was all for packing up ands going home on Saturday morning but matters improved thereafter. 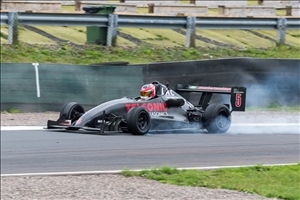 Pete Goulding had a moment of panic when his front wing let go approaching the hairpin, with a very tyre smoking approach to the remaining yards. Simon Bainbridge was having transmission problems and managed to qualify on T2 but this was to be his only run of the day. A broken propshaft joint and a failed fix were a poor return for the long journey. The Chichester duo too had one small hiccup in their transmission which appeared fairly easy to solve. Steve Brown was performing rather better than he had anticipated and edging ever closer to his class record, which he thought was within reach. Sadly his chain let go and damaged his clutch. Simon Bainbridge was unable to complete a run and he was off to Dunfermline to get some bits and pieces to effect a repair for Sunday. 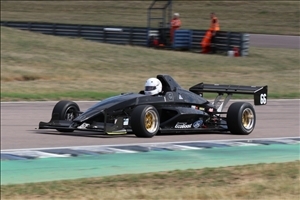 Graham Porrett was unable to be ready for his first run, because of the transmission issue but managed his second run to secure himself some points. The two Mygales were next up, Graham Blackwell (with the benefit of his outing in 2017 behind him) managed to finish just three quarters of a second ahead of his compatriot. Both Blackwell and Pete Goulding set times which were seconds ahead of Blackwell's 2017 record. Next up was Steve Miles continuing his indulgence with Michelin tyres leaving him a couple of seconds or so from the 2 litre record. John Graham slipped up on his first run and only managed a "banker" on his second to ensure he secured points. Nick Algar concluded his day just over a second away from his class record. Terry Holmes, benefiting from a week's holiday, put in a significant time on his only effort. Stewart Robb spun at the hairpin on his first run and so was perhaps disappointed with his second run time (and also not enjoying the delightful tone of his V10 that the rest of us can enjoy!) It was Heather Calder who was the first family member to run and she popped in a time a little better than half a second better than her best of the day to that point. Then father Colin tried unsuccessfully to better that. So Heather tried again and this time a new outright circuit record for the anticlockwise course arrived, which Colin was unable to match. PP & SM. Images courtesy of John Stewart of Flat out Motorsport Photography. This was the beginning of two back to back weekends at opposite ends of the country. Unsurprisingly this attracted largely those from the South of England & the Midlands. Those from the North of England & Scotland were saving themselves for the following weekend at the two opposite directional versions of Knockhill. My generalisation however does not take into account the significant journey undertaken by John Graham from the Lake District recognising the quality of the Sprint course which Lydden Hill represents. John Graham set his stall out in the 2nd timed run finding 5 seconds over his first run time and qualified top by a country mile (quite appropriate for a farmer). Matt Hillam was on the case of the two litre fraternity and qualified closest to the record for any of our groups and was a second clear of the two Steves, Miles & Broughton. As is customary Pete Goulding (who had visited the venue last year) and Graham Blackwell were back to back in their similar Mygales. Graham had no launch control as it had accidentaly been disabled in the recent additional power upgrade. 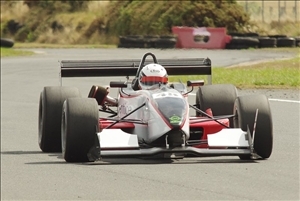 Also qualifying together were Steve Brown (for his inaugural qualification and running on inters all day as these were the best slicks!) and Graham Porrett (driving alone for once) who was going well in practice until gear selection issues meant he had a neutral at the bottom of the devils elbow and crawled up the hill to the finish. Then finally the shared car of Bill Gouldthorpe and Carole Torkington. Sadly the Bill Gouldthorpe car let him down on his second run when something inside the cockpit becoming detached. The Championship Co-Ordinator indulged in some coaching of Mrs Torkington between runs, after which she returned clearly chuffed to bits having discovered nearly three seconds and an improved finishing position and points! 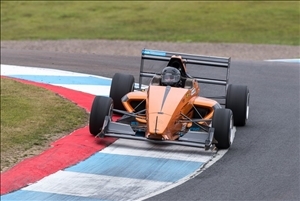 Graham Porrett finished with his best time of the day, but was bettered by Steve Brown by a couple of tenths on his best time of the day and his first British Sprint Championship points. New slicks were deployed by the top 6 running cars so no one had an advantage although lots of wet towels were seen cooling down the tyres! A few tenths separated Graham Blackwell and Pete Goulding with the orange Mygale coming out ahead on this occasion. A couple of seconds further ahead was Steve Miles continuing his Michelin tyres experiment but Stephen Miles had brakes seizing on in the final run off to the extent that two people could hardly push the car after the finish. Then came a disappointed John Graham who spun at North Bend on his first run and although he set a time on his second run I'd guess he kicked himself all the way home as he lost a couple of seconds which were there for the begging? The SBD pairing battled for the top 2 places Steve Broughton bettering John Graham by 3/10ths but finishing top of the tree for his first British Sprint Championship event win was a delighted Matt Hillam. 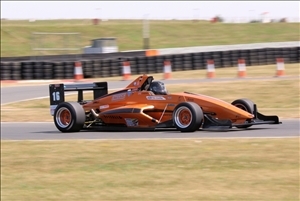 Day 2 of the Borough 19 Snetterton sprint turned out to be even hotter than the first and many drivers struggled to maintain let alone improve their times. Steve Miles and Chris Jones were both complaining that their cars were uncharacteristically moving around a lot more than they liked. 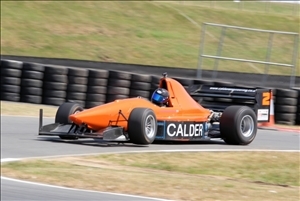 The Calders were scratching around for the last of their usable tyres, and limited themselves to a single qualifying run each, albeit far ahead of the opposition and only half a second apart. Nick Algar replaced his broken driveshaft and then broke the whole transmission......Also limiting themselves to a single qualifying run were Terry Holmes and Steve Broughton (who was driving alone on Sunday due to coolant leakage). Carole Torkington enjoyed an altogether better day. Nick Algar's week-end got worse when he broke a drive shaft in practice which brought an end to his event. Graham Porrett accidentally switched his traction control off and immediately went quicker! The team switched off launch control too but Terry Holmes had a spin. Graham Blackwell was finding Sunday better for him and qualified for the Run Off and was much closer to Pete Goulding's similar car. Graham Porrett managed his first run off of the season. Things were not at all going to plan in the Bainbridge camp both his run off times being worse than the day's timed runs. Chris Jones seemed to be suffering the same fate, was it just the tyres had had enough? Graham Blackwell's times were altogether an improvement on Sunday. Nonetheless he was still unable to match counterpart Pete Goulding. Terry Holmes' first run was close to that of Steve Broughton's sole run, but then fell off on his second attempt. However between this pair was Steve Miles and there was just bits and pieces separating the three of them. John Graham managed to conclude his weekend satisfactorily by opening his Top 12 run off with his best time of the weekend. After first runs Stewart Robb lay at the top, and Heather Calder concluding an unsatisfactory weekend for her in 3rd. So what her Dad do? Left on his 2nd run off run, produced his best time of the weekend for the win .......on intermediate fronts!! And left him tied at the top of the table with Heather. The British Sprint Championship''s annual trip to East Anglia was treated to the most glorious weather throughout the weekend. However in our sporting discipline that sadly rarely arrives without taking its toll upon many of the competitors. 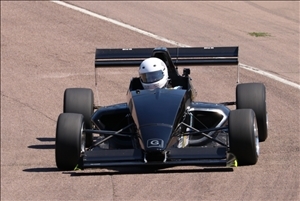 The weekend was greeted by the arrival of Jeff Wiltshire''''s GPR Zeus Challenger Evo 2 following a seemingly interminable exchange with both the MSA and MIRA concerning the quality of the car''''s ROPS and its relationship with the regulations. 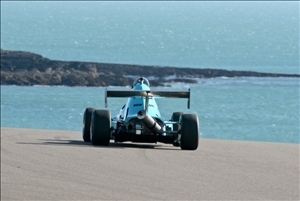 As the car was on its inaugural outing at an MSA event he was accompanied by Geoff Page. Poor Carole Torkington had a day to forget on Saturday as if it could go wrong for her, it did! - including a spin on T1. 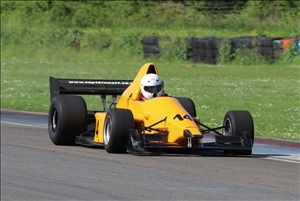 Nick Houston made an outing in his new car having acquired an OMS Hornet replete with K8 Suzuki engine to replace his Jedi, which is now for sale. Unfortunately the car''''s engine treated itself to a blown head gasket, which finished him off for the weekend. Nick Algar''s week-end got off to a bad start after finding some suspension damage had occurred on the (long and tiresome) trip down from Newcastle. Fortunately some welders were found nearby to rectify the problem. Steve Miles obviously treated himself to something special for lunch on Saturday as he produced a T2 time that he was unable to reproduce at any stage of the weekend during timed runs or Top 12 Run Off runs. 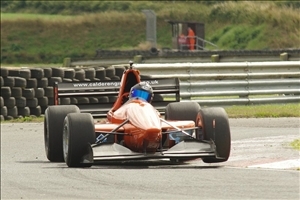 This was after a bumpy ride over the kerbs in P1 having vowed not to go near them while walking the track in the morning! He was also finding the soft Michelins were giving good grip but were proving to be very ''high maintenance'' in the heat. The Holmes/Porrett Lola had a throttle pot problem in the morning followed by gearbox problems eventually rectified over lunch. 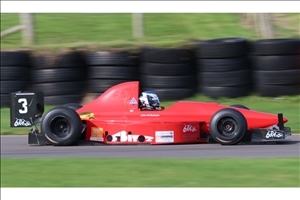 The Broughton/Hillam Dallara suffered a broken driveshaft but a spare was quickly fitted. The pair were using their quicker engine but a suspected gasket failure was causing overheating. Chris Jones, on his forst visit to Snetterton, was, as usual, quickly on the pace and after the timed runs had easily re-set Brad Hobday''s 1100cc record. 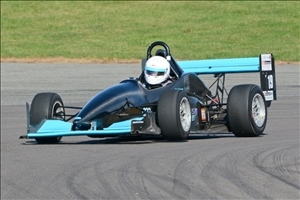 Pete Goulding put in a very rapid T1 time to easily qualify for the Run Off. 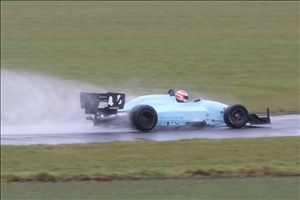 Many competitors were suffering with the customary "green" nature of the Saturday 100 Snetterton surface. Otherwise difficulties seemed to vary between tyres or overheating - or both if you were really unlucky. Nick Algar's opening Top 12 run could be measured in feet and inches (mostly the latter) as he sadly broke a driveshaft as he tried to launch. Simon Bainbridge broke part of his rear suspension, warranting some welding to be undertaken overnight. Both Steve Broughton & Matt Hillam limited themselves to a single run each in an effort to protect their overheating engine. Another to conduct a single run was Steve Miles, as he spun on his second run at which point he aborted his efforts for the day. Chris Jones wasn''''t quite able to match his record breaking 2nd timed run but his first run off effort was only hundredths away, and the second just a tenths and a half adrift. 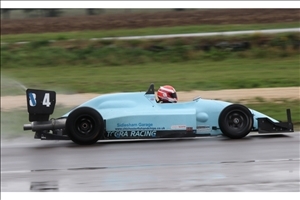 Also record breaking in a fine display throughout the weekend on his first timed run was Pete Goulding. But he was unable to match that for the rest of the weekend. Top of the tree (and his first win for about 5 years) was Stewart Robb on his first run off run, a time he was unable to repeat for the remainder of the weekend. A tenth and a half shy was Colin Calder and Heather Calder was over a second adrift, something it hasn''t been necessary to say for quite a while! Then came Terry Holmes employing successfully a particularly aggressive launch technique to good effect and John Graham was next, a third of a second back, pursued by only a quarter of a second by Steve Broughton. Almost a second further back was Steve Miles with Matt Hillam almost three quarters of a second further away. In his best run off performance yet Pete Goulding was next, closely matched by Chris Jones, and Simon Bainbridge at least able to complete a run to secure a couple of points. As Sunday progressed it became apparent that an ever increasing track temperature was doing nothing for the times. Having undertaken a practice run, followed by a top 12 Run Off, some considered any more than a singular qualification run quite superfluous. These included the three Scots, both Nick Algar and Chris Jones (after a red flag incident) felt they had comfortably qualified each with a 97 & 98 second run respectively. Steve Miles had a succession of problems which would require a book of their own to detail. In short this rather put the tin hat on Sunday resulting in his failure to be fit enough to run in the Top 12. Both Mygales were battling manfully each doing enough to qualify each finishing either side of the 100 second mark. Also in the vicinity was Simon Bainbridge, just finishing with a number beginning 99....Both the SBD runners qualified in the 95s, as did Stewart Robb who it was thought had overfilled his oil tank and was battling with a recalcitrant wheel bearing and John Graham pitched in with a 94, despite having the shearing of his sheep in the back of his mind. The Calders too had the oil tank overfill issue together with an air lock in their water system. Pete Goulding put in two solid runs to secure his points for the day. Graham Blackwell had to be pleased securing a 98 second run on his final run (half a dozen seconds quicker than he had managed last year!) On his opener Simon Bainbridge managed his one and only 98 second run for the weekend so managing to take the Sports Libre record into new territory. 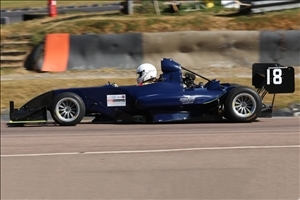 Chris Jones managed a few hundredths better than the earlier run off also placing the 1100 Racing Car record into new territory. Also in the 97s was Terry Holmes but ahead of him was the SBD duo, who during the course of the weekend were also involved in conducting the SBD Westfield's opening competitive outing (Matt Hillam sharing with Steve Broughton's step daughter Zoe Kingham who was armed with her own set of overalls for the first time - I didn't ask mum Kim for her thoughts on the issue!). Nick Algar put in a 93 second run for his opener, but was unable to better that. On his first run Stewart Robb's efforts came to a diminished conclusion on the exit from Honda Curve when he discovered he'd run out of fuel! Nonetheless he still managed to conclude his weekend with a satisfactory 93 which completed one very pleasing debut for the car. John Graham mustered a 92 for his podium place. Heather Calder managed a very indifferent 90 second run for her opener which Colin overcame with a mid 89. Then Heather acquired an 88.30s from somewhere which Colin was unable to better with his mid 88 run. With registered contenders as they were in 2017 there would seem little room for pleasure but where the difference lies is that in 2018 all but a handful are becoming regular runners everywhere. There also seem to be a lot more motorhomes too? The Pembrey week-end turned out to be warm and sunny all week-end and together with the length of the course it presented many of the drivers with a few challenges. As we moved to "the land of my fathers" the Championship possessed an interesting addition. Stewart Robb had a decision to make. Did he change to something "historic" or, while he felt capable, did he enhance the machinery he had? He undertook the latter choice and wheeled the MP88 off to Lincolnshire to enable Mike Pilbeam to replace his Judd KV with a Judd GV. The difference being two cylinders more and perhaps another 100bhp. The first reaction was, as might be expected, what a beautiful tone! The second was that it was perhaps the quietest car in the paddock? When I was treated to a closer examination of the installation it was easy to see why it was so quiet, two not insubstantially sized cans! It is clear that Stewart has some learning to undertake which he knows. 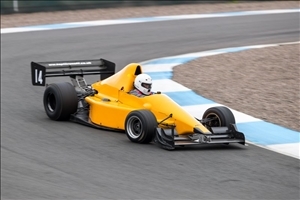 For the moment he is being very modest with the rpm he is using and taking advantage of the significant additional torque on offer, but for a first competition outing (he'd only tested at Kames so far, with some sparkling results) there is no doubt, it's quick! 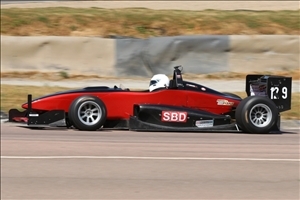 The SBD Dallara was again running some experimental Avons, softer than the ones used at Combe, but they were still having difficulties getting them to 'switch on' so they reverted to A15s for the Run Off. Steve Miles' Michelins looked really the worse for wear after practice with a lot of rubber migration across the tread but he was advised they would come good after a few runs and this proved to be the case. 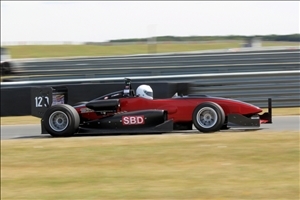 Simon was on the pace in timed runs however, breaking the BSC Libre record on both T1 and T2. 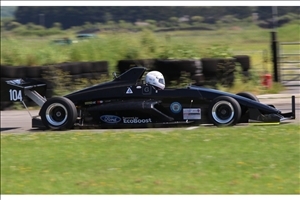 Another new record was set by Chris Jones, the Force TA now running full bodywork, who beat Brad Hobday's 1100 record on P2 and lowered it by over 1.5 seconds on T1. Misfortune hit Mark Anson (Jedi) who was out with a suspected dropped valve in practice while Steve Brown (JKS) was suffering electrical problems all day - eventually traced to a faulty switch and connection. 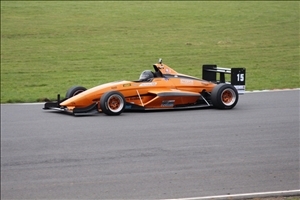 Pembrey newcomers Paul Horrox (Juno) and Pete Goulding (Mygale) were busy learning the track. Having been absent from us for some years Paul is becoming closer to the pace. Also discovering a new level of performance are the two Mygales with 1600 forced induction engines. Both have benefited from "attention" over the winter and are now both on the cusp of qualification, upsetting a few applecarts in the process. The Holmes/Porrett Lola had a sensor wire break and were busy adjusting ride height and other settings ahead of the Run Off. Reigning champion, Heather Calder, was top qualifier after T1 but a small oil leak (probably a slight overfill) meant she missed out on T2 so father, Colin, took the top spot. 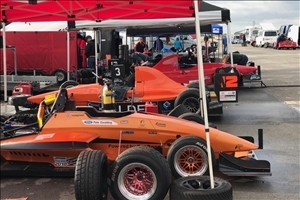 Nick Algar had quietly improved his times to be the fastest 2 litre qualifier while Graham Blackwell overcame some early fuel surge problems to work his way into the Top 12. Chris Jones (9th) is still learning the best way to approach the Run Off and really went for it on his first run. On target for a quick time he went into the Brooklands hairpin too hot and the resulting spin left him uncomfortably close to the Recticel barrier but with only a lightly damaged floor as a result. Steve Miles (10th) did the opposite with a banker on his first run and a spin on the second! 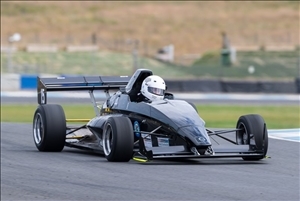 Steve Broughton and Matt Hillam were finding that the A15s were a bit soft in the afternoon heat and the SBD Dallara finished 6th and 7th just behind the DJ Firehawk of Nick Algar as the fastest 2 litre. 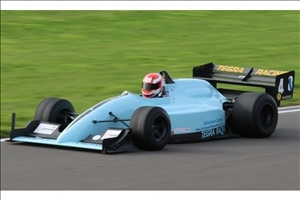 Both John Graham (Gould GR55) and Stewart Robb were closely matched with best times in the 91s. Of the Calder's Heather was quicker than she had been in the high 88s, but she knew she needed more, then father Colin put in a low 87 putting the pressure on. Most often better second run around Heather then improved to 6/100ths quicker than her father. Could he better that? I think the tyres by then had given of their best and Colin was only able to post an 89 second run. After most competitors had completed their two practice runs the event was abandoned owing to the weather. The opening round of the 2018 British Sprint Championship began with a damp track which fortunately dried later. Recent "issues" kept two members from the Sports Libre community off the entry list. Whilst conducting a shakedown the previous week, new addition, Piers Thynne, broke the driveline in his Radical SR8 although the solution to the problem has been discovered. A few days later when a test of his new car was planned, Jeff Wiltshire became a victim of the ice which followed the "beast from the east" and managed to break his fibula! So he is in plaster, and it is understood that an operation was imminent. A further member of the Sports Libre community unsuccessfully sought entry to the event, two days after it closed! By contrast Nick Houston had entered his Jedi but didn't appear for what is possibly his closest venue to home. 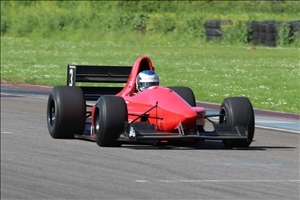 A number of cars/drivers (including the SBD Dallara) had been able to squeeze in some pre season testing while others (Miles, Pickles, Blackwell) had been to the 'Mugglestone Academy' at Blyton for some preparation. 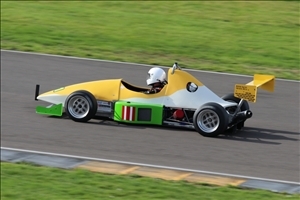 The Gouldthorpe/Torkington OMS only just made the event after its 'Busa rebuild was just completed the evening before. Terry Holmes and Graham Porrett suffered a transmission failure with their Lola in practice. So the pair toddled home and, after stripping it down the following day, they found that the diff output shaft had shattered, so they were hoping to be ready for Croft's Easter outing. The two Mygale's were suffering their own issues. In the case of Pete Goulding the car on one run would appear to run on fail-safe mode, but on the next run would be back to full beans, and that alternating annoyance seemed to happen a lot. Graham Blackwell first of all suffered the (new) front wing flapping madly (which was overcome by installing the original mounting) but appeared to be seeking to set a record for the amount of sparks it could produce from underneath! After practising on slicks ("it's going to be dry later") Glyn Sketchley had to withdraw before the timed runs with a suspected turbo seal failure - not the first time he has had bad luck at Combe. 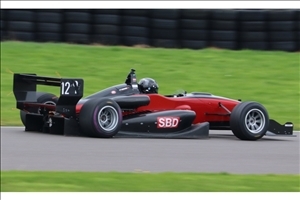 The SBD Dallara of Steve Broughton and Matt Hillam appeared with a new, neat (and large) undertray and sidepods which apparently have significantly increased the downforce with little drag penalty so they could run with less wing at this quick track. They also tried some development AVON Sprint tyres but these need higher ambient temperatures than were available at Combe in March to work effectively. Simon Baindridge was red flagged in practice for 'debris' although nothing was found to be missing off the SBR Crono so it was more likely heavy spray or other bits off the track that caught the marshal's eye. After the wet/damp practice, which saw plenty of spins (including Graham, Jones and both the SBD pair), and a green and cold track for T1 it was clear that the second timed runs would be those which would count for qualification. There was little to choose between the times of John Graham, Steve Broughton, Steve Miles, Matt Hillam, Simon Bainbridge & Chris Jones - four seconds covered the lot (at a venue where their run times were in the two minute vicinity). Heather Calder led after timed runs with a time just over a second outside the outright record, with father Colin another couple of seconds further back. Fortunately this year there were no issues which interfered with a full pair of Top 12 Run Off runs. Chris Bennett made his Top 12 Run Off debut, and undertook the sensible approach of a solid opener (but even that was an improvement on his best timed run) but after that banker he improved still further by another second and a half. Graham Blackwell seemed to continue to suffer problems and both his times failed to match his best timed run time. Grahame Harden (in possibly his last outing with the Jedi which is for sale) demonstrated his long standing habit of finding quite a few seconds on his second run for 10th spot despite running his 'cracked head' engine. Next best was Pete Goulding on his first run setting possibly his slowest time of the day (another run in what turned out to be the fail safe mode) but his second run was far more like it being his best of the day. Another second and a half ahead was Chris Jones (on his circuit debut) but almost three seconds shy of Bradley Hobday's existing record after suffering fuel feed problems on his first run. Bradley and his dad, Brian, were along as spectators .....and missing the participation! One novelty present among the 2 litre racing cars were Michelin tyres, these being tried out as an alternative. Steve Miles was the bottom of that pile, with Matt Hillam a couple of seconds ahead and co-driver Steve Broughton better than a second further. Among this little lot was to be found Simon Bainbridge, the front of his car displaying some aerodynamic work and his times (almost 4 seconds under the existing record) demonstrating the success of John Hansell's work! Then there were the Calders. Colin first up...new record, then Heather.....another new record, then Colin.... but off the track around the second chicane breaking the diffuser, trying to reset that record leaving a disappointed Heather feeling there was perhaps another couple of seconds to come. However, a one two was not a disaster although the Calder family are now off on holiday so won't be seen again until Pembrey.